I made these fava bean quesadillas recently using fresh fava beans from the garden. 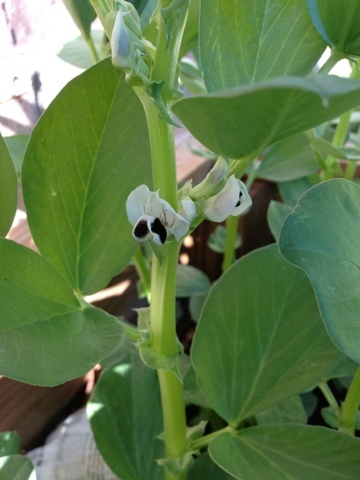 They were pretty easy to grow I planted them in February from seed and they started producing beans in May, my favorite part were the little black and white flowers so pretty. They are also a good source of Dietary Fiber, Protein, Phosphorus, Copper and Manganese, and a very good source of Folate. To make this simple and healthy snack or meal, simply grill the fava beans for about 5 minutes each side until charred, remove beans. Add cheese I used a sharp cheddar grated with grilled onions and fava beans and a little arugula and grill for about 3 minutes. So happy to be home and back in my kitchen after an amazing trip.